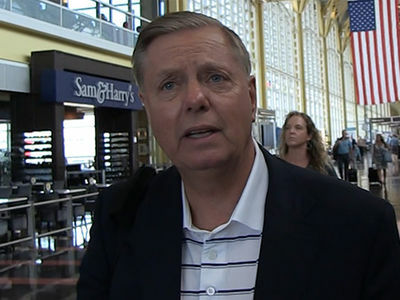 John McCain is finally getting his due respect from President Trump -- his body is being flown to Washington D.C. on an aircraft that had to be approved by POTUS. 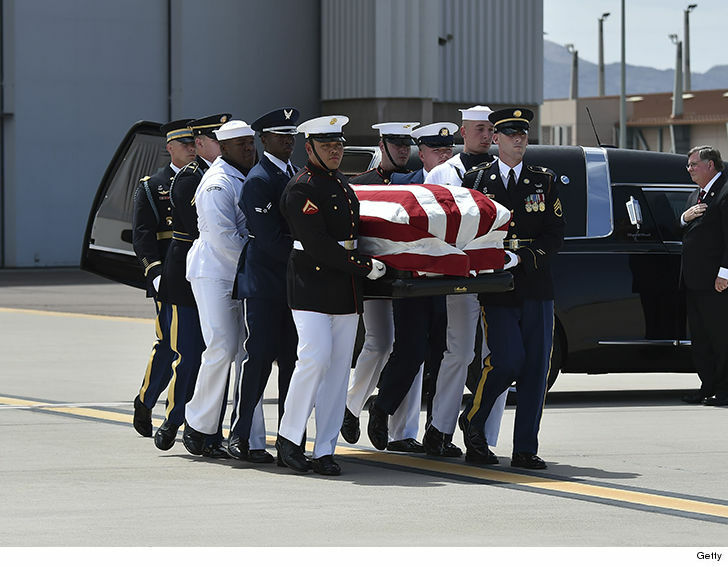 The late Arizona senator's casket was loaded onto one of the jets known as Air Force 2 -- which is often designated for the VP or First Lady's travel. As you know, 45 will not be attending McCain's service in D.C. ... reportedly because McCain wanted it that way. 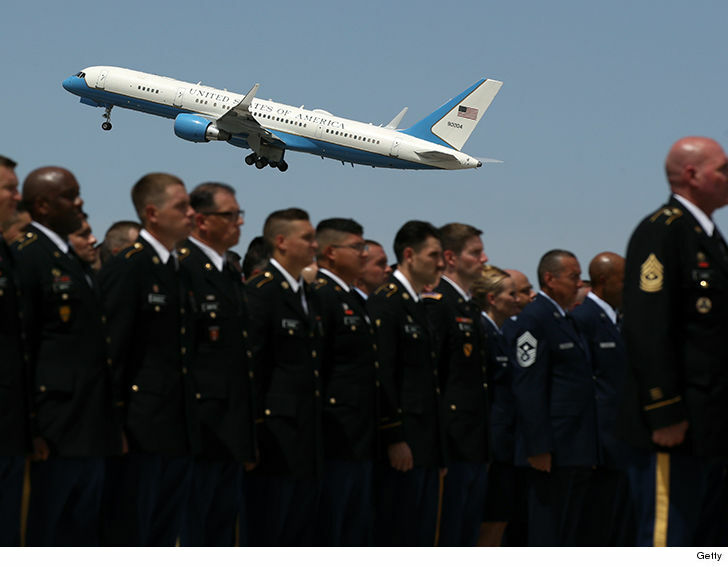 Still, Trump announced earlier this week he had greenlit military transport for McCain, saying, "At the request of the McCain family, I have also authorized military transportation of Senator McCain’s remains from Arizona to Washington, D.C., military pallbearers and band support, and a horse and caisson transport during the service at the United States Naval Academy." Prior to the statement, Trump was being incredibly stubborn on publicly speaking about McCain's passing ... refusing to answer questions about the Senator, and even briefly returning the White House flag to full-staff. It was eventually lowered back to half-staff. There was no love lost between Trump and McCain. Then-candidate Trump mocked McCain's military service, saying he was not a war hero because he'd been captured in Vietnam. 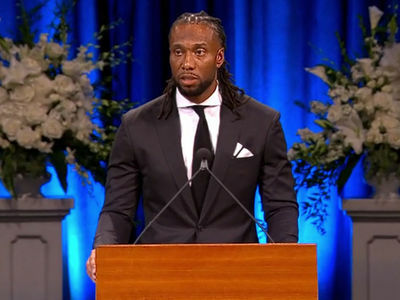 A memorial service was held for McCain Thursday in Arizona, where a lot of people spoke in remembrance of the political maverick ... including a teary-eyed Joe Biden. 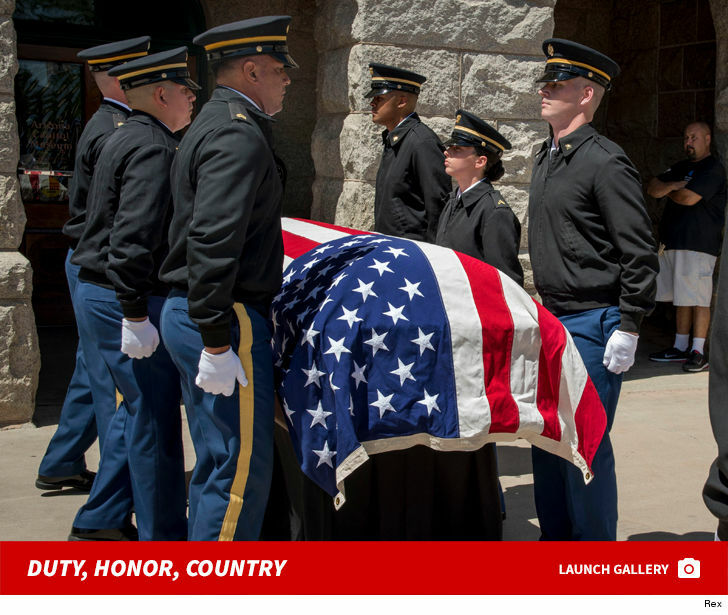 McCain will lie in state at the Capitol Rotunda Friday before another memorial service Saturday.